All Serena & Lily Bedding on Sale! Up to 30% off through Monday, April 8th! After a few peeks at our kitchen and dining room on Instagram stories a bunch of you asked for a home tour. The truth is, between travel and a family health crisis decorating has taken a back seat on our list of priorities the last couple months. That said, I have shared looks at our living room before here and bedroom before (here and here) if you’re curious. 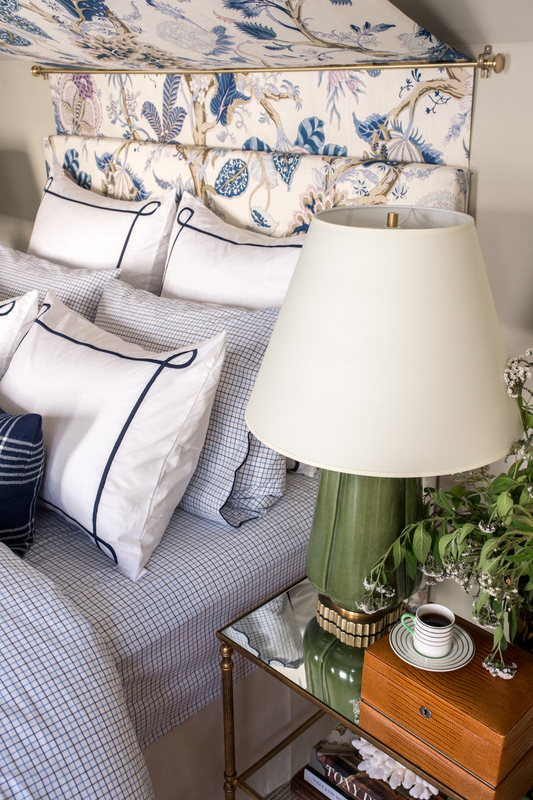 Blue and white is my favorite color combination of all time and works especially well when creating a serene bedroom retreat. I also love how gender-neutral most of Serena & Lily’s bedding is, which is perfect when decorating a room that you share with your guy. 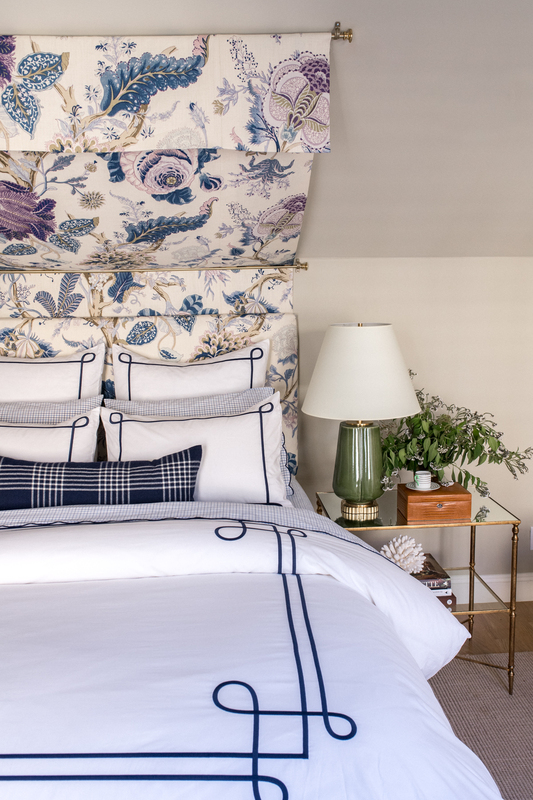 The tattersall pattern of the sheets is actually borrowed from traditional menswear but the scalloped edge creates the perfect balance of masculine-feminine vibes. 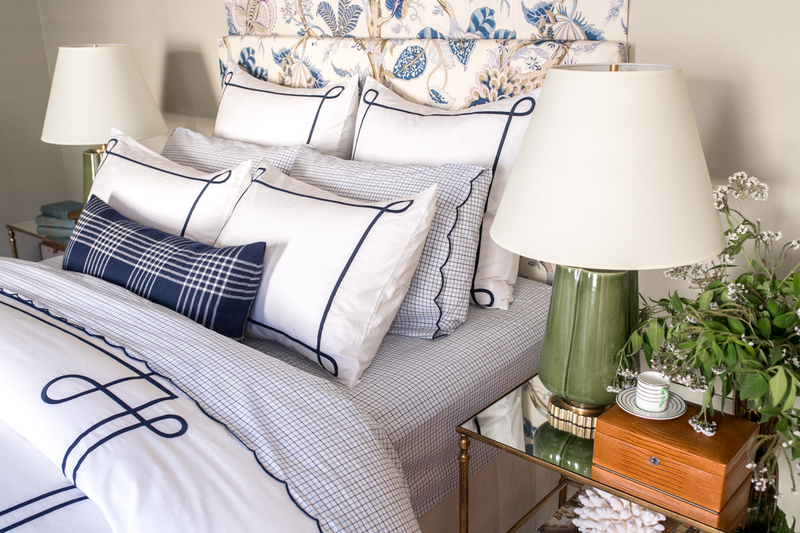 Additionally, their bedding is made in Portugal and is Oeko-Tex Certified which means it’s free from harmful chemicals and gentle on your skin and the environment. 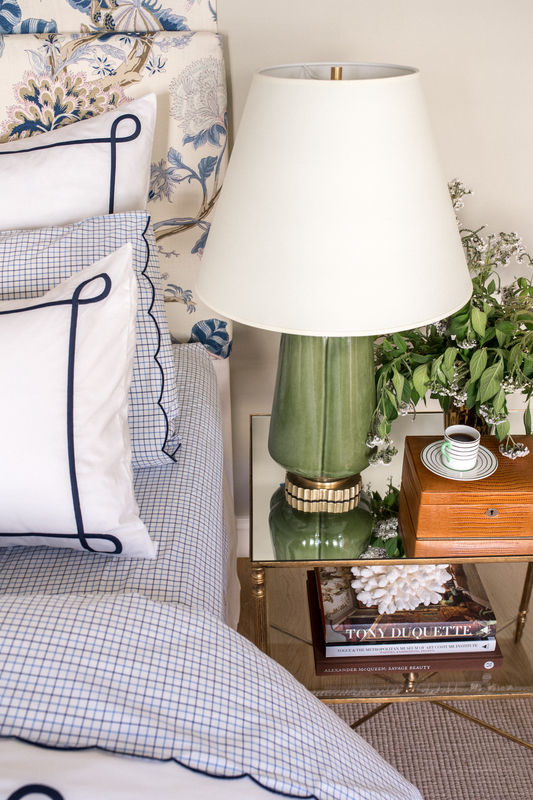 The sheets could easily pair with a solid duvet in navy or white, but I personally like how our hotel-inspired southport duvet and shams look with the checked sheets. I love the classic look of hotel bedding (the embroidered, framed border) as it always provides a tailored look to any bedroom. 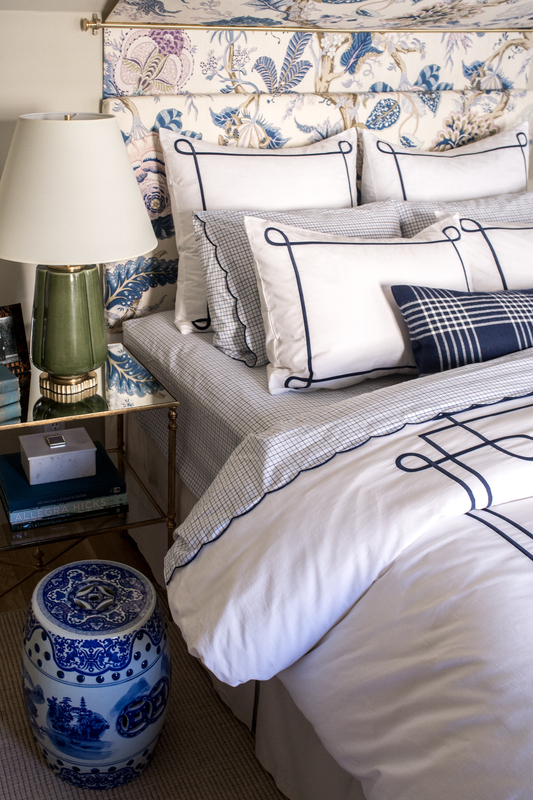 Hotel bedding sets but can be quite pricy, but Serena & Lily has so many beautiful versions of the timeless style for half the price of other brands. 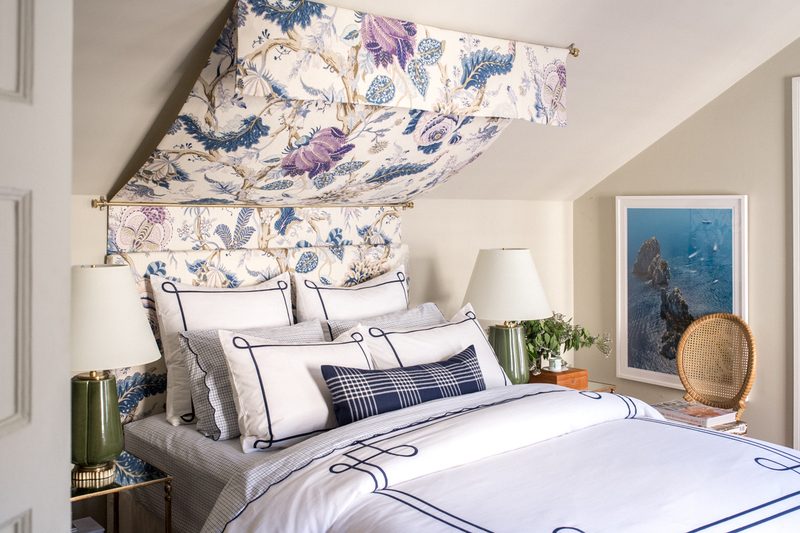 Of course our Southport Duvet is my favorite because it mirrors the scroll-y lines in our DIY Schumacher headboard and canopy, but I also love the thick border on their Beach Club Set, the chain link border of the Savoy Set, and the minimalist edge on this set. Previous Post 36 Hours in Washington, D.C.